It’s festive season and you have family and friends visiting you. You have the finest décor, an exquisite rangoli, your living room is filled with joy and laughter but if your dining table is not decked up with scrumptious meals, then all is futile. They say, “The way to a man’s heart is through his stomach”, I have a difference of opinion. Not just man, but women as well. Yes, the “Oh so much calorie” conscious species who are at times self motivated and at times are a prey to the calorie conscious rat race yearn for palatable food, sometimes explicitly and other times silently. Whichever way it is, the crux is that food though is a necessity but is more than what it meets to the eye. And it is absolutely fine to commit the crime of sinful indulgence once in a while and one such moment is Diwali. Keeping the festive season in mind, I have here recommended some delicious and mouthwatering traditional recipes which are a must this Diwali. Many recipes that I have discussed here are commonly made in every home during Diwali. Few dishes out of these are a must to be made either on Diwali or the next day of Diwali as a part of tradition. Here we go! Gujia is very popular on Holi as well as Diwali. 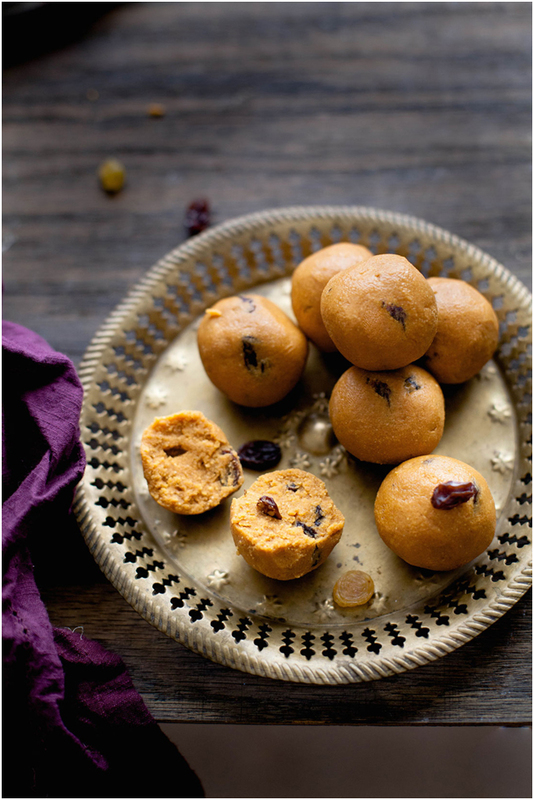 It is one of the most sought after sweets in North India, also known as purukiya in Bihar. 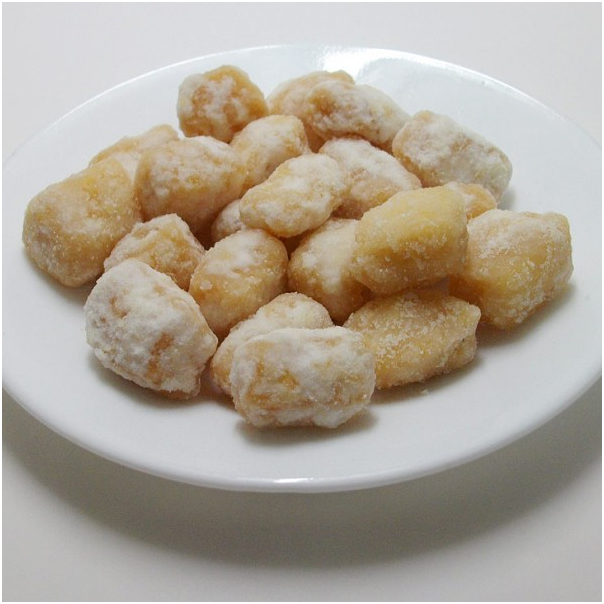 Gujia is a sweet pastry shaped dumpling which is made with all purpose flour (maida) and sooji dough. You can fill it with khoya and roasted dry fruits. You then need to seal it and deep fry. Next, you have to dip them into sugary syrup. Gujiya fillings vary -if you go towards south, these sweet dumplings are filled with dry or moist coconut and in Bihar, besides the regular khoya filling, a sooji filling is also made where semolina is roasted in ghee along with sugar, raisins, coconut and cardamom. Gujiya is indeed a power house of calories but don’t worry – if you are not impressed with the idea of deep frying you can also bake them. Another way is to add grounded sugar to the filling and omit putting them in the sugar syrup. It would reduce the amount of calories but trust me it tastes best when they are deep fried and plunged in the sugary syrup. 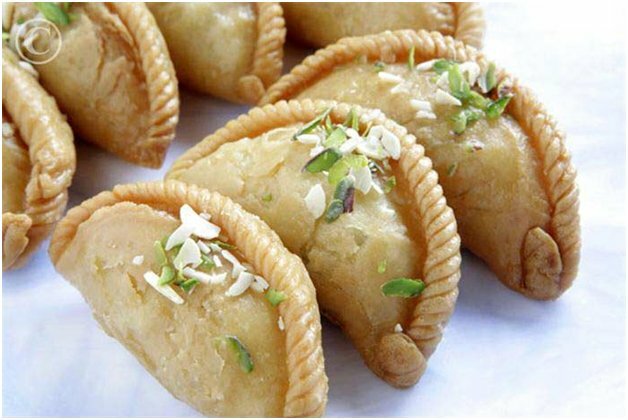 Here is a mouthwatering recipe of Gujiya that you must try. What are you waiting for? Try your hands on this lip smacking desert. Gulab Jamun cannot be confined to seasons or festivals but when it is Diwali or Eid, it is hard to keep oneself away from the savory desert. It can be effortlessly made at home which is economical, healthy and delectable. Also popular by the name of Lal Mohan in Nepal, Gulapjam in Eastern India and Bangladesh, this mouth watering desert can be easily made with khoya/milk solids which can be either bought or made at home by boiling milk on medium flame till it is thickened. You can also use milk powder for making gulab jamuns. All you need to do is add some all purpose flour and a pinch of cardamom to khoya, knead it well and make small balls. Deep fry them in ghee and put them in the sugary syrup. You can flavor the syrup by adding kewda, saffron, rose water or green cardamom to it. 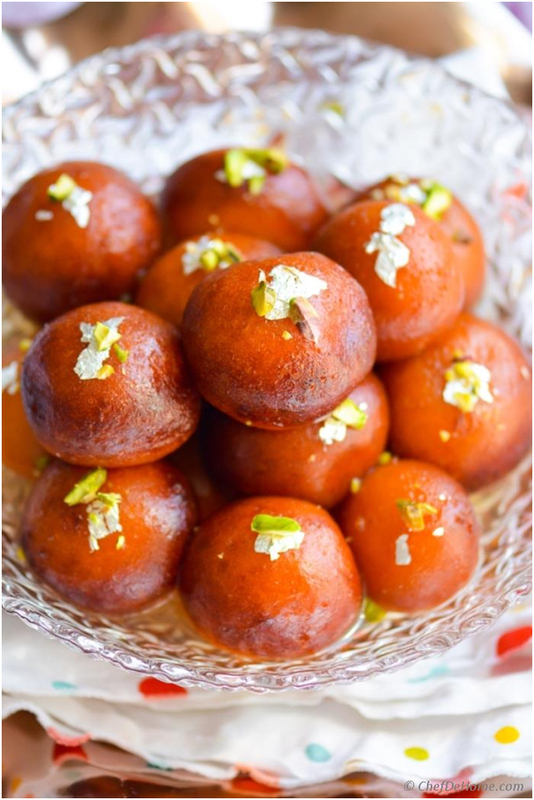 Just try this easy Gulab Jamun recipe and add flavor to the festivities! This has been one of my favorite desserts since childhood. It was always cooked at home and I do not remember any Diwali without it. These are small hand sized crunchy pan cakes glazed with sugary syrup. You can make these fluffy mouth watering pan cakes with all purpose flour (maida). You need to make a batter by mixing milk, water and a dash of cardamom to the all purpose flour and leave the batter for few hours for fermentation. You may also add khoya and coconut to it. You then need to deep fry them. You should then coat these fritters with sugar syrup. At some places these are made by crushing ripe bananas. Malpuas when capped with Rabri serve as a treat not only to your eyes but to your mouth as well. So how about grabbing a bite? Get going and try is awesome Malpua recipe at home! Besan ladoos are a must during any celebration and Diwali is no exception. It is offered to God Ganesha and Godess Laxmi during Diwali puja. You can make besan ladoo by roasting gram flour (besan) in a wok filled with generous amount of ghee. This is one of the easiest sweets that could ever be made and even those trying their hands in cooking for the first time can never fail in making it. You can add finely chopped or coarsely grinded dry fruits in it and a pinch of green cardamom enhances its taste. The only thing you need to remember while making besan laddu is that you need to roast besan well, so that the raw taste leaves the besan. You should use moderate to low flame while roasting besan as high flame may burn it and very low flame may leave it under cooked. So this festive season surprise your family and friends by making these mouth melting besan ladoos. Shakkar Pare or Gur pare as they are also called are made of all purpose flour and jaggery. You can use sugar instead of jaggery. Gur parras ca be made before hand and kept in an air tight container. You can make shakkar pare by kneading maida, ghee and cardamom and melted jaggery in a dough. Make balls out of the dough and make it like a chapatti with the help of rolling pin. You can cut them in diamond shaped or rectangle pieces and deep fry them. 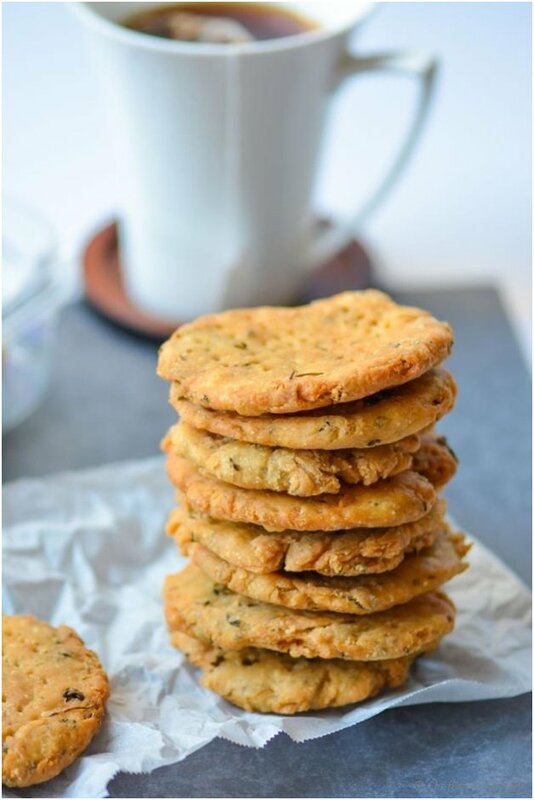 If you do not like them sweet, you can add salt and ajwain instead of jaggery or sugar and serve them as Namak Paare or savory crackers. Whichever way you make them these crunchy little snacks whether sweet or salty are sure to win your heart. Here is the recipe! Spongy dahi vada is an instant hit snack. If you are trying to make ‘melt-in-mouth’ dahi bhalla then the only trick is to whip, whip and whip till you can. You can make them with urad dal or with moong dal or you may also mix the two dals in 2:1 ratio. You need to soak the dal overnight, or at least for 5-6 hours, grind it and keep the batter for fermenting. And then you need to whip it long and consistently before you put them in the wok for frying. Make sure the more you whip the more spongy your dahi vadas will turn out to be. Dip them in curd (dahi) and garnish them with tamarind chutney and fruits like pomegranate, bananas and dry fruits. With just one serving, your culinary skills are sure to leave a lasting impression. 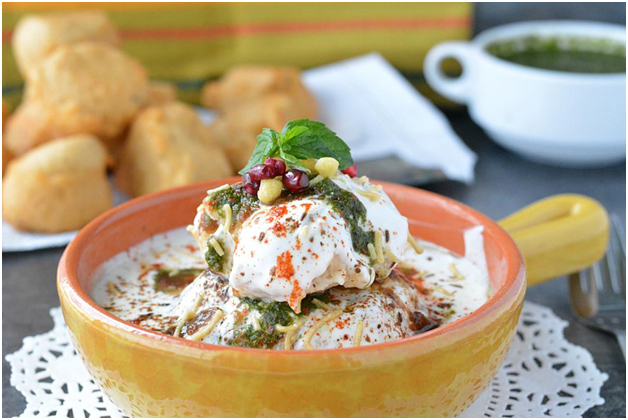 Here is the dahi bhalla recipe that you can make in a jiffy! This is one snack that my mother prepares in a jiffy, especially during the festive season as it goes very well with tea or coffee. You can prepare it in advance and store it in an air tight container. Besides eating it as an accompaniment with tea, you can also use them to garnish papri chaat or dahi bhalle. All you need is chickpea flour, some basic ingredients from your kitchen cupboard and a “Sev Press/Machine”. Hope you have a great time munching them with your hot piping coffee. 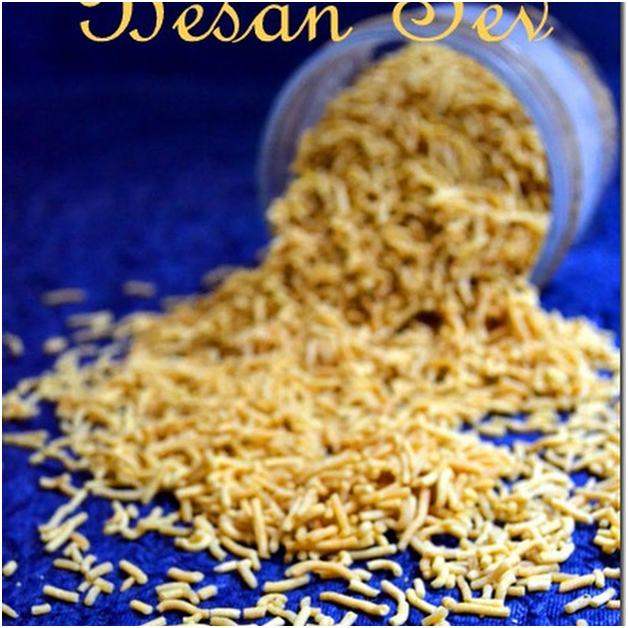 Here is your besan sev recipe! 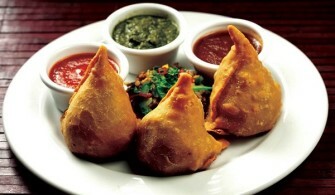 Samosa, the popular Indian fried patty usually filled with peas and potatoes is one of the most sought after snacks. However, it is difficult for you to make aloo samosas and store it for long. But, if you fill it with lentil, you will not only be able to prepare them in advance for snacks but also store them. You can prepare it using gram flour or coarse gathiya powder. It is a bit elaborate preparation as you need to first prepare the stuffing, then the outer layer. You then need to fill the stuffing, seal it and deep fry them. However, once made these mouth watering samosas though a bit high in calories will add the much required flavor to your late night card parties during this diwali. 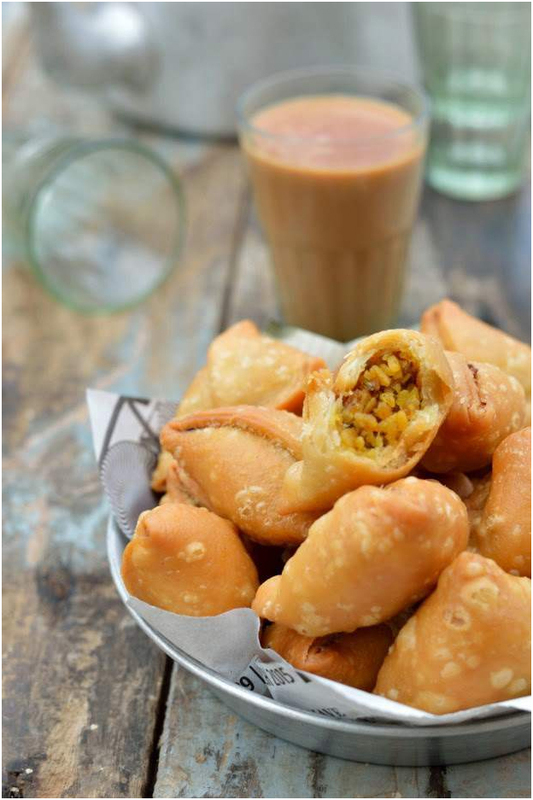 So what you are waiting for, try this awesome samosa recipe! This delicious salty and sometimes sweet cracker also known as swali is an evergreen snack which I feel is made in every home, in every season and so of course in Diwali. Everyone has their own way of making it. Some like it salty, some add methi to it, and a few add ajwain and so on. You may mix and match the ingredients as per your choice. It is important to choose the all purpose flour and semolina (sooji) ratios correctly if you wish to achieve the crispy and flaky texture. While you roll them with you rolling pin, it is important that you prick them properly in order to avoid them from puffing up while frying. Alternatively, you can also bake them. 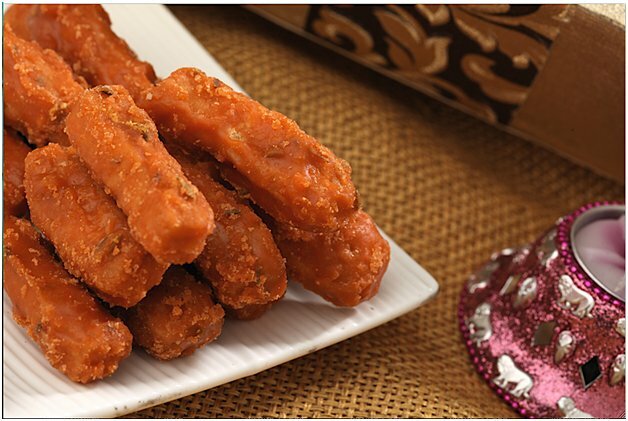 Serve them with pickle or mint chutney, they are sure to win hearts. Here is the mathri recipe that you must try! Aloo Chaat is one of the most popular Indian street foods. Mere a sight of it will make you drool. So why not try and prepare this snack for Diwali. 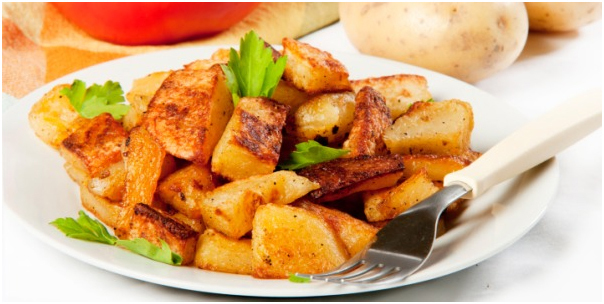 All you need to do is fry the little chunks of boiled potato in generous amount of oil. You then need to toss them in spices. Sprinkle some chat masala and some chutney and squeeze in some lemon and season it with salt and chaat masala. You can garnish it with some chopped coriander leaves. Alternatively, you can also stir fry them on a hot, well greased griddle (tawa). You can adjust the spices and the tangy flavor as per your choice. You can also garnish this savory snack with the besan ke sev that you just read above. Here is your Aloo Chaat recipe! 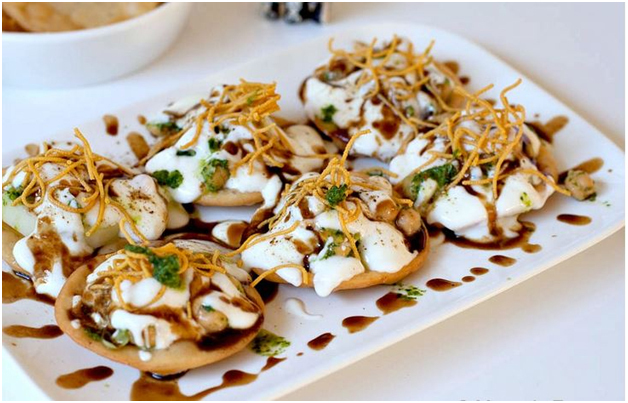 Dahi Papdi or Papri Chaat somewhat belongs to the family of Dahi Bhalla but with a little difference. 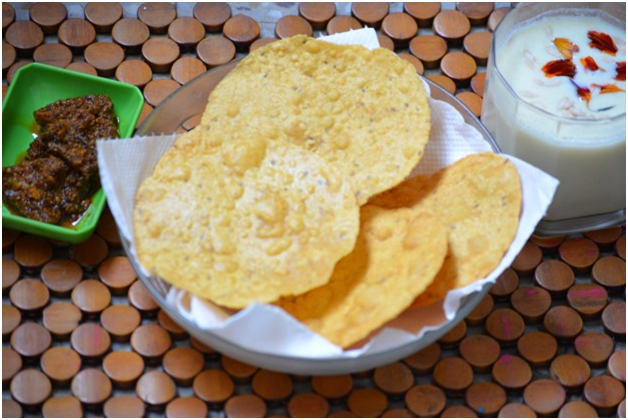 If you wish to make this mouth watering snack you need to prepare papris (small fried flat pooris) or you may bake them as well or if you want you may also get them from market. If you are making the puris at home then you may make them in shape of tacos or baskets for a twist. You then need to dress them with boiled potato, yogurt, chaat masala and season it with salt, some besan ke sev and mint and tamarind chutney. And with this your delightful plate of crispy papri chaat is ready to be served. But make sure that the moment you prepare it, you should consume it else they are bound to turn soggy. So hurry, grab your bite. Here is the recipe! Suran or Jimikand sabji is quite popular in north India and especially prepared on Diwali as part of tradition. I have seen it being made at my mother’s place but it is called Jimikand there and it is made during Shradas. My in-laws are very particular about the dish as it has been a part of Diwali ritual there for ages. You can make it in two ways – One, you may deep fry it in generous amount of oil and serve it dry, or you may put the fried pieces in onion tomato gravy or curry or you may also put them in coconut curry. The gravy one goes well with chappatis and rice whereas the dry one can be served as an evening snack with chutney. At my in-laws place, they prefer eating the dry one in breakfast. You have to be very careful while you chop it. For all of you who have sensitive skin, it is advisable you wear a pair of gloves before you peal or chop it. This high on carb, rich in potassium, iron, vitamins and antioxidants dish is sure to make your family and friends fall in love with this simple yet scrumptious preparation. Try this suran sabji yourself and feel the taste! Goverdha Pooja and Ankoot ki Sabji are inseparable. It is also known as “Gad ki Sabji” or “Goverdhan Bhog”. The very next day of Diwali when Goverdhan Pooja is observed, ankoot ki sabji is offered to the Gods and Goddesses. This dish is accompanied by Kadhi. 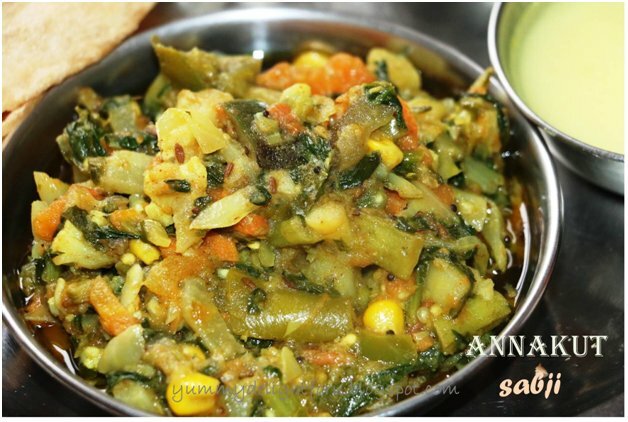 Anakoot ki sabji is nothing but a sort of mixed vegetable. All you need to do is mix in all the seasonal vegetables and add some spices to it. I also add some fruits like apple, banana and guava. It is a very easy recipe, but requires little amount of patience as you have to leave it on medium to low flame for some time so that all the veggies blend in properly. You can also steam all the veggies together and then put them in a wok, sauté them occasionally. Because it is offered to the deities, onion and garlic are not used in preparing it. So what are you waiting for? Try this Ankoot recipe! 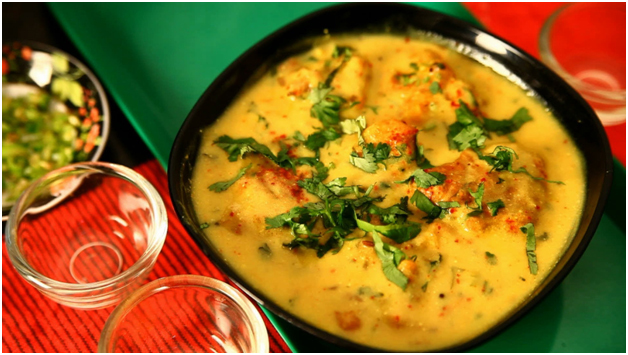 Kadhi does not need any introduction nor does it need a special occasion to be cooked. 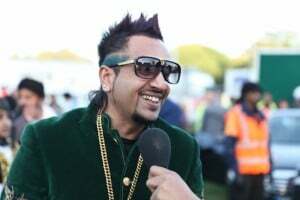 However, kadhi and ankoot ki sabji go hand in hand. In almost every home, ankoot ki sabji is accompanied by kadhi. Kadhi goes well with parathas and chapattis but it is best served with jeera or plain rice. The sense of satisfaction that kadhi-chawal bring especially to a Punjabi stomach cannot be described in words. For this you need to first fry pakoras which are usually made with gram flour. You then need to make the curry using curd or chaach and whole red chilli, which brings a kick to your kadhi. Simple yet delicious, kadhi can never let you down. So get going and make the delicious kadhi yourself! 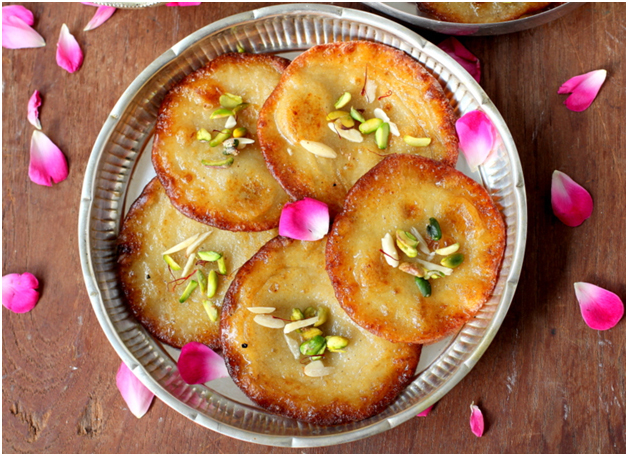 Diwali is synonymous with sweets and if it is as delicious as Shahi Tukda, you surely cannot give it a miss. 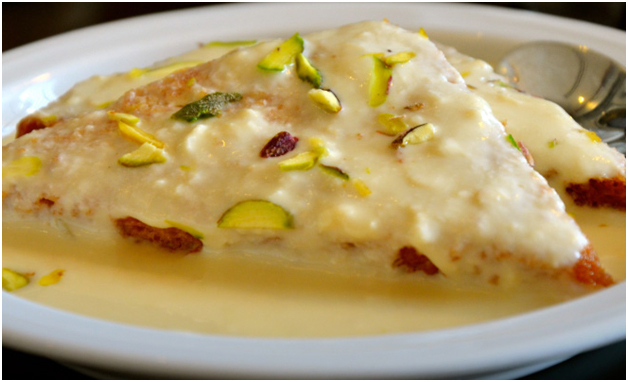 “Shahi Tukda”, royal as the name says, is rich in every sense, be it calories or presentation. This is similar to the Hyderabadi Double Ka Meetha with few changes in the recipe. You need to deep fry bread pieces till they turn golden brown and then dip them in sugar syrup and in condensed milk which can be easily prepared at home or you may also get it from market. Garnish it with dry fruits. You can also use Silver varak (leaf) to make it look sovereign. So this Diwali, complete your palatable dinner with the Royal dessert. Here is the recipe! Ghiya, Lauki or bottle guard though high in nutritional value, is loathed by many, especially children. This is one such vegetable that can be cooked in many ways. You can make lauki ke kofte, or you may simply grate it and put it in curd and you can also serve it as a sweet dish. Here is how you can introduce ghiya as a dessert to all those who do not prefer eating it, and for those you do like it are sure to love it in this form as well. All you need to do is cook grated bottle guard in milk, khoya and sugar. You may also use condensed milk. You can add some dry fruits to it to enhance its taste. It is one of the easiest recipes that could be made before hand and stored for quite some time. 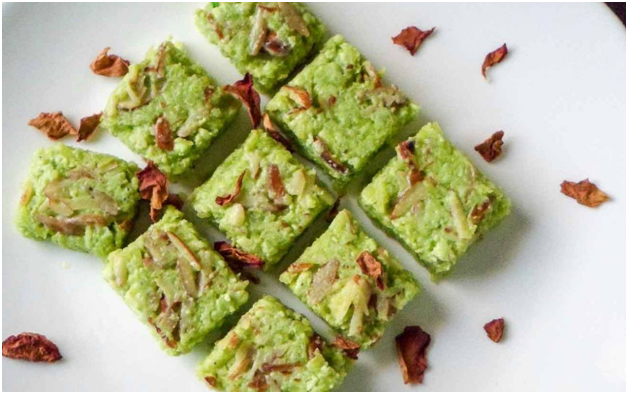 Try this simple ghiya barfi recipe! Besan Ki Papdi is offered as “Bhog” to Godess Laxmi during Diwali. It is also considered to be a Holi special recipe. It is a simple recipe made with gram flour. You can make it in advance and store it for long in an airtight container. 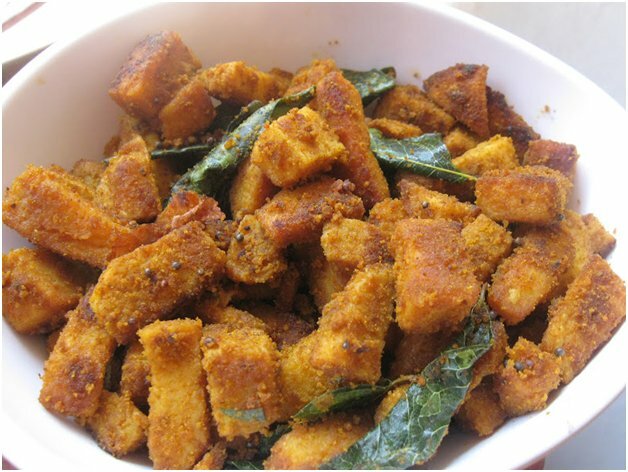 You can serve this crispy and spicy snack as accompaniment with evening tea or coffee. The recipe is quite similar to that of besan ke sev. Try out the mouth watering recipe of this thin crispy wafer that you can also serve with curd, pickle or chutney. Coconut is one thing that fits in smoothly everywhere. You can use it in curries, gravies, eat it raw or put it in desserts. 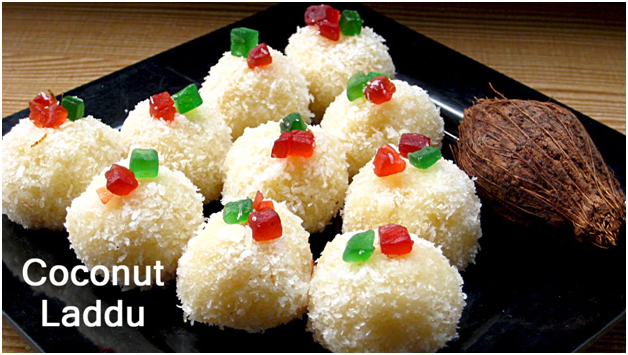 Coconut Laddoos are very popular especially when you travel southwards. It is very easy to make – you just need a few ingredients and you are through. You can intensify their flavor by adding cardamom powder and nuts. If you want you can use condensed milk or mava for making this lip smacking coconut laddoos. 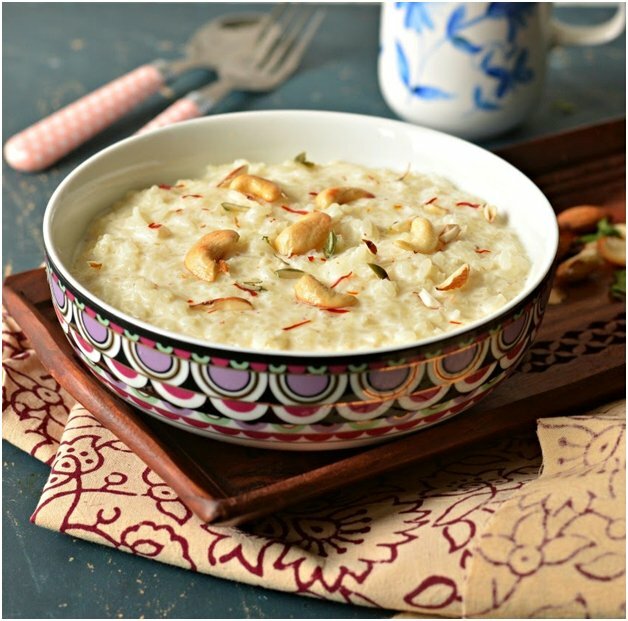 Kheer or Rice Pudding has always been a part of merrymaking and auspiciousness in India. From festivals to poojas to lifting the first trophy in school or getting an A+, kheer kicks off the celebrations. It is also popular by the name of payasa, payasam or gil-e-firdus and is not to be confused with firni, which is in a way similar but not same. Kheer is usually made with rice but you can also make kheer with vermicelli. You need to be careful with the milk and rice ratio as that is what forms the basis of kheer’s consistency. Too dry or too milky would surely not taste well. You can serve it lukewarm, as liked by many but it tastes sumptuous when served cold. You can garnish it with saffron, pistachios and silver leaf. So what are you waiting for, get going and try this delicious Kheer! Moong dal halwa or yellow lentil sweet pudding is one of the most popular halwas which can be easily spotted in weddings, celebrations, festivals and poojas. Moong dal barfi also belongs to the same family. Moong dal halwa is a real rich (read power house of calories) dessert and when you cook, only then you get to know the generous amount of ghee that is put in to give it the smooth texture it has. But as I said earlier, when in festive mood, indulging in sinful food is not a crime. 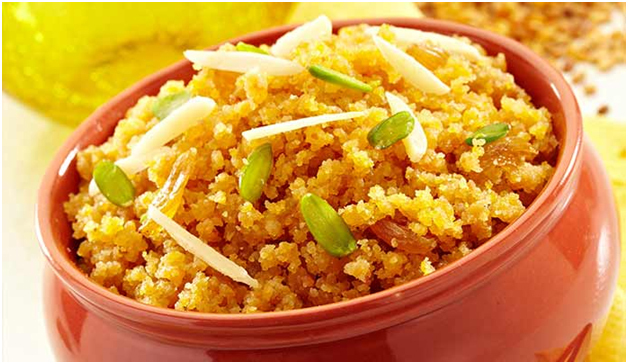 So this Diwali season, gear up for making this delicious moong dal halwa which is sure to lure everyone. May you have a fun filled, foodfull Diwali! !